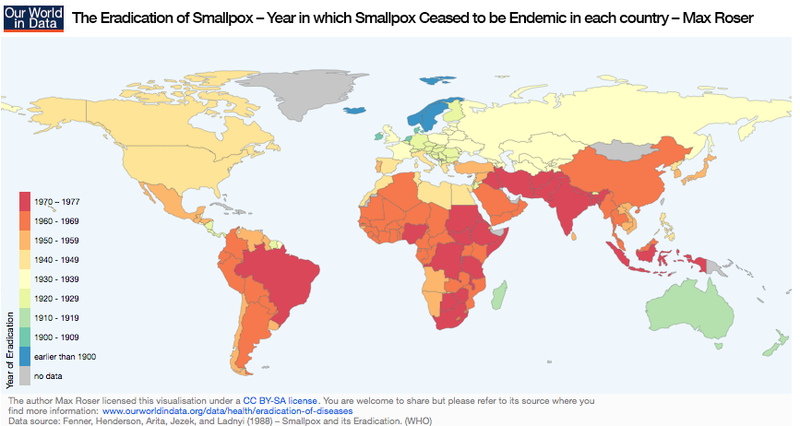 Scooper - Technology News: When should we stop vaccinating against an infectious disease? When should we stop vaccinating against an infectious disease? All vaccines have an economic cost to produce and deliver, and some may also have side effects. For example, smallpox vaccination, while safe for most people, occasionally caused more serious reactions . Similarly, routine vaccination against tuberculosis (TB) is not considered necessary in low-prevalence countries. In Australia, routine vaccination against TB ceased in the mid-1980s . While serious complications from the TB vaccine are rare (less than one in a million doses, the majority of which are self-limiting), the vaccine is only about 50% effective in preventing TB disease . Communities in which circulation of a disease has been greatly reduced can also become disengaged from eradication efforts, leading to disease resurgence. Political and social factors , such as weak health systems, conflict and population displacement, can amplify the effects of non-compliance with eradication efforts. Measles is another disease for which global eradication is deemed technically possible . Despite elimination in some countries, including Australia, targets for measles elimination in Europe have not been met in recent years.